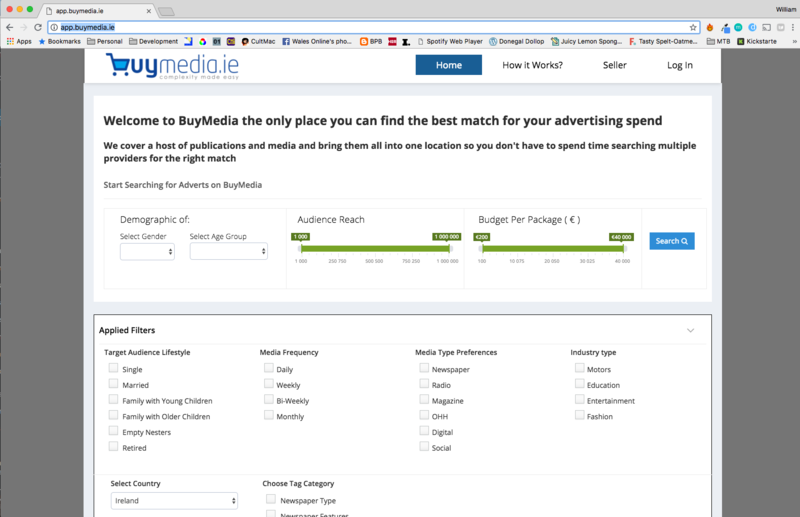 Buymedia is a technology startup operating in the advertising space. They are building a platform to enable business to plan, purchase and manage their advertising spend for all channels (print, radio, online) in one central location. As with ShowHouz we provide CTO and outsourced development services to BuyMedia. We worked closely with them through the design phase of the project, assembled a development team to execute on the project and are currently assisting with the go-live of version 1 of the project. Digital Stories & Experiences Made for you in Oranmore, Co. Galway, Ireland.